Brunch is the Marcia Brady of meals. 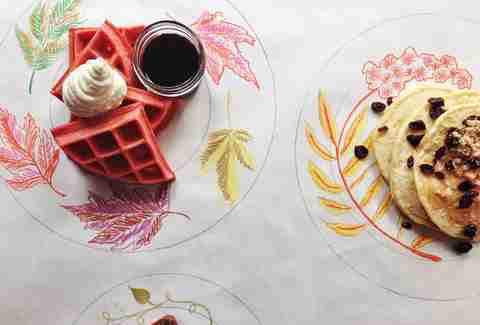 It gets all the praise while breakfast (aka Jan) -- the sweet, simple, humble one -- is all but ignored. But we're about to change all that. 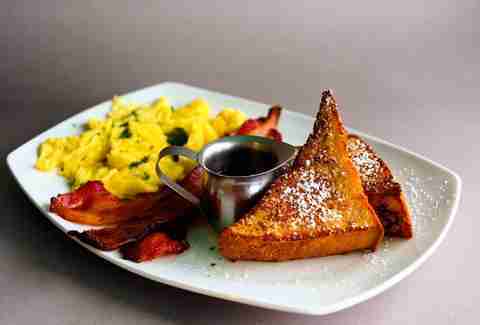 While brunches are typically best on weekends, breakfast is a necessity every day. 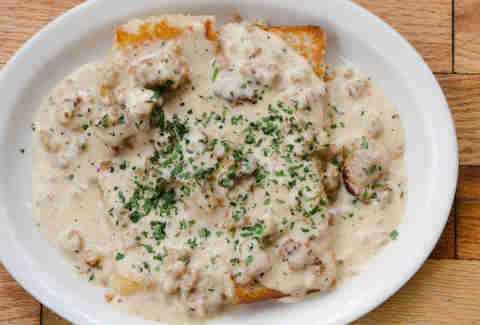 When you get that hankering for biscuits and gravy on a random Tuesday morning, we've got you covered. 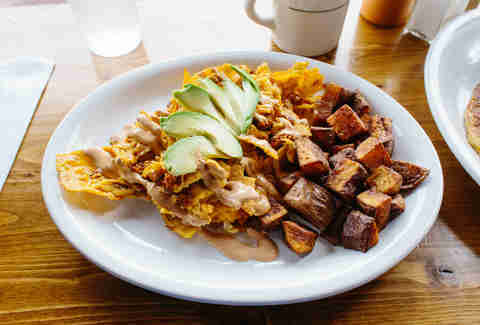 From classic diners to New American cafes, here are the Portland restaurants that recognize the need for a great breakfast every day of the week. A New Mexican food cart-turned-brick-and-mortar, Pepper Box brings Southwestern-style breakfasts to a town that desperately needs them. Get your taco fix here with any combination of bacon, carne adobada, chorizo, and avocado. 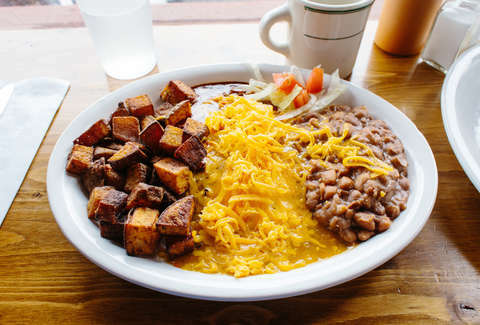 Or go for a plate of huevos rancheros Christmas-style, blanketed in red and green chile. Besaw's just celebrated its 114th birthday. Let that sink in... Although it was sad to see it move a few blocks from the original century-old home, we're happy to see the next iteration of this Portland institution regain its footing and deliver a modernized version of the former menu. 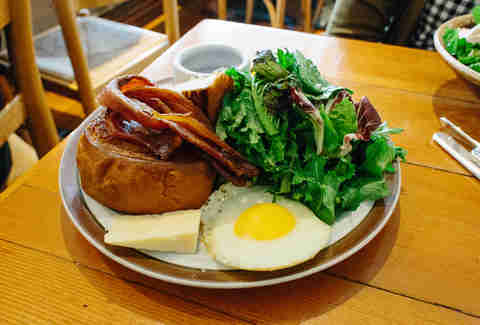 The Farmer's Hash is always a good bet, but it's hard to resist the classic croque-madame. If you have the time, spring for a Master Cleanse cocktail. The fresh fruit and vegetable juices purify while the tequila offers a very smooth pick-me-up. A blue-collar counter operation nestled between the Pearl and Old Town, Fuller's has a U-shaped counter and friendly -- mostly older -- staff that make it feel like something you'd find on the way out of town, not a few blocks from what people consider the yuppie neighborhood. The food is inexpensive but delicious. And it's not trying to be anything other than a place for properly cooked eggs, crispy hash browns, and a seemingly never-ending cup of hot coffee. Let's get this out of the way: The best thing at Gravy, surprisingly, isn't the gravy. But that shouldn't keep you from going because this trendy little joint on Mississippi happens to make some of the biggest and best omelets and scrambles in town. If you're going for the first time, try the Dalise, an obscene combination of bacon, sausage, ham, sweet peppers, mushrooms, onions, and Cheddar cheese, all smothered with sausage gravy. To underscore how serious this place takes breakfast, Gravy doesn't offer the lunch menu on weekends. Tiny ceramic pots with miniature wooden spoons for salt containers; a well-curated selection of records and tapes; overflowing indoor plants perched just so on the rafters -- and we haven't even made it to the food yet. Sweedeedee is the quintessential twee Portland restaurant. Sure, you may have to wait for a table to open up, and then again to order, but everyone will be friendly, the music will be good, and by any means necessary you will order a slice of the salted honey pie to have with coffee. On the southwest corner of the maze that is Ladd's Addition is a red building where chicken-fried steak and tasso ham eggs Benedict have lured hungry brunchers for quite some time. 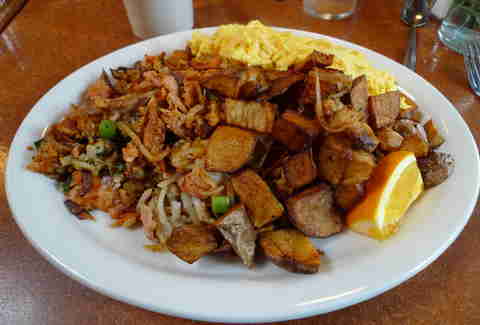 Despite being on one of the most notably gentrified streets in Portland, Genies has maintained its scrappy diner allure. For the adventurous drinker, the cocktail specials are not to be skipped over. House-infused vodkas and whiskeys are shaken into festive toddies and blazing Bloodies. 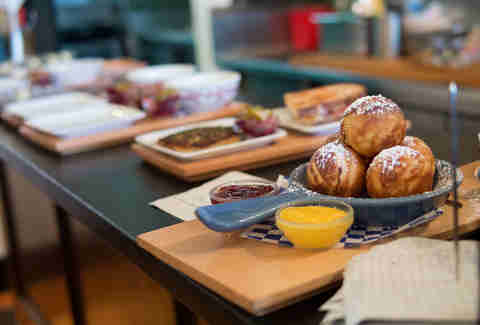 The aebleskiver at this Scandinavian restaurant made our Portland Food Bucket List. While these Danish pancakes -- which are more like doughy donut holes than the name implies to us Americans -- are a must-have every time you go, they're not the reason you're there. Rather, it's the combination of the smoked trout hash or the daily lefse, the lingonberry jam on your aebelskiver, and an aquavit cocktail that makes for a great brunch. 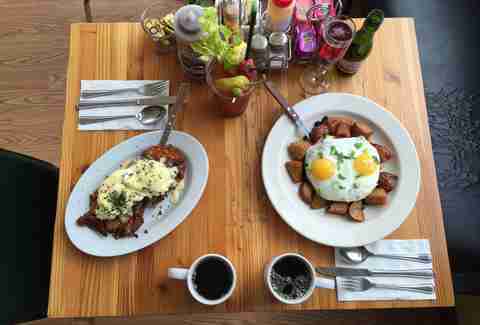 With sister restaurants in North Portland and Beaverton, Broder is never too far away. Thank the Norse gods. Mother's is well-known to tourists, but it's a mainstay of Downtown for good reason. Before the artisans and hip chefs -- whom we love, don't get us wrong -- crafted Portland into the food-loving town it is today, chef Lisa Schroeder opened this large-scale bistro to bring businesspeople and families classic eggs Benedict, wild salmon hash, and a crispy Belgian waffle. And of course, all of this food can (and should) be complemented by one of Schroeder's spicy Bloody Marys. Seastar boasts something for everyone, but this bakery has health-conscious, locally-minded breakfast lovers wrapped around its finger. Breads baked in a wood-fired oven make for terrific "advanced toasts," topped with creamy greens and a fried egg, peanut butter and honey, or pickled jalapeño cream cheese and preserve. For a heartier plate, try the winter squash tinga with a fried egg over rosemary cornbread. 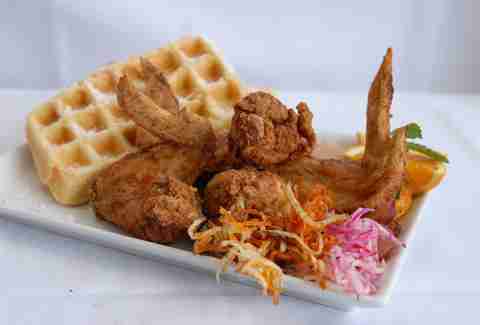 Served all day long, Po' Shines' breakfast brings us hefty plates of flavorful soul and Cajun food. If it's your first time, go for the fried catfish breakfast plate or the bayou breakfast burrito. We recommend getting out of your dietary bubble by substituting bacon or sausage with catfish, shrimp, chicken, brisket, or pulled pork. You won't be sorry. Bonus points: Po' Shines sits on the grounds of the Celebration Tabernacle Church and supports a nonprofit that provides culinary training to its parishioners. 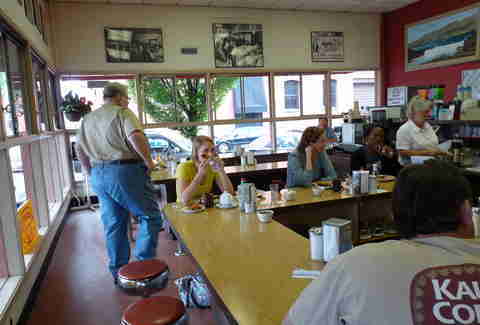 A no-frills diner, Zell's is just what you're looking for when you have no idea what you're craving, but know you need a hearty breakfast in your aching stomach. 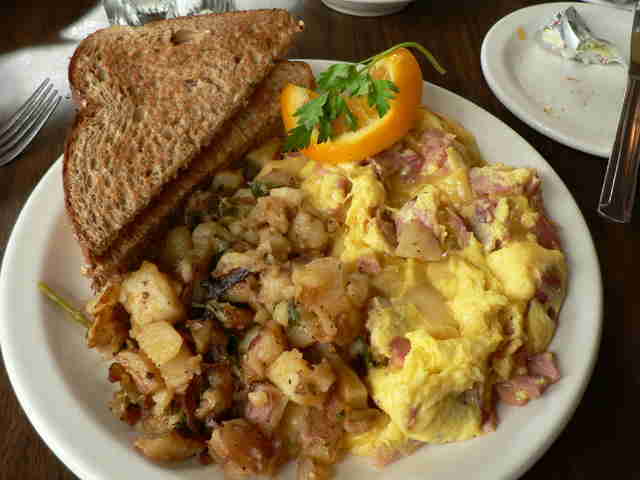 The corned beef hash will cure what ails you, while Cousin Maurice's Eggs, a scramble with Brie, tomato, and scallions, will satisfy the diners who aren't feeling a more… heavy plate. Pro tip: Order a German pancake for the table and share. This vegetarian-friendly gem boasts an extensive tea selection, killer biscuit sandwiches, and a long list of well-curated mix-and-match small plates. Perhaps the most overlooked menu item is the Bubble & Squeak, a hash cake of potato, onion, cabbage, carrots, and peas that comes topped with a fried egg. For those who can't live without bacon, you can get it here. But if there was ever a place to venture into the world of meatless morning meals, it's The Hazel Room. Dan Schlegel wants restaurants to open early on the weekdays so he can eat all his favorite dishes before he goes to work. Is that too much to ask? Follow him to lavish food fantasies @ddschleg. Drew Tyson writes for Thrillist.